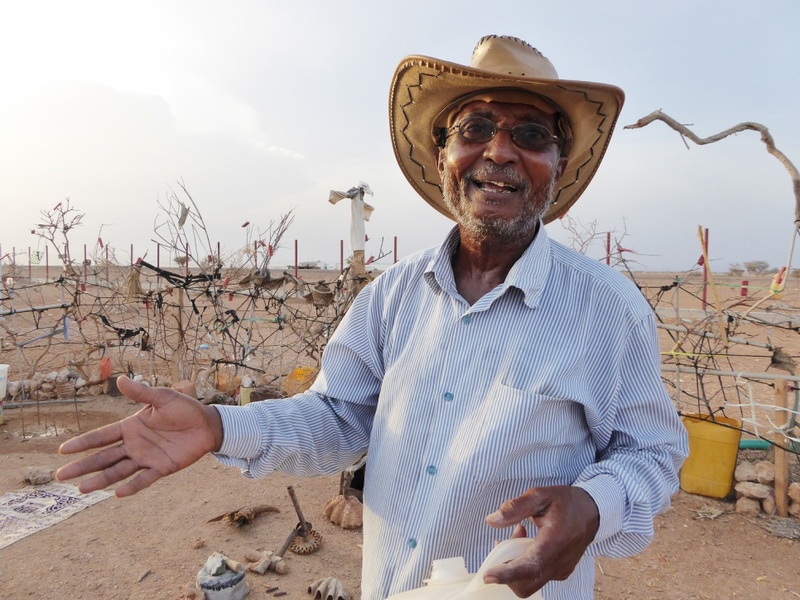 Abdillahi Bashraheel, a refugee from the war in Yemen, goes out walking every day around a UN refugee camp in Djibouti, collecting objects for his found art installation, which he calls a museum of curiosities. I heard this amazingly cheerful man talking about his project on a segment from the New Yorker Radio Hour. His museum is somewhat famous. It has been featured in the Somaliland Informer, Canadian Coin News, and on the UNHCR website. 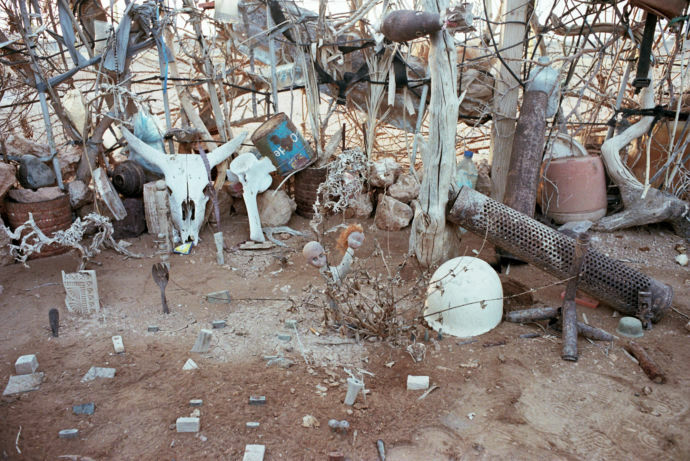 There’s also a slideshow of photographs and accompanying article at the New Yorker. ~ by lolarusa on March 24, 2018.